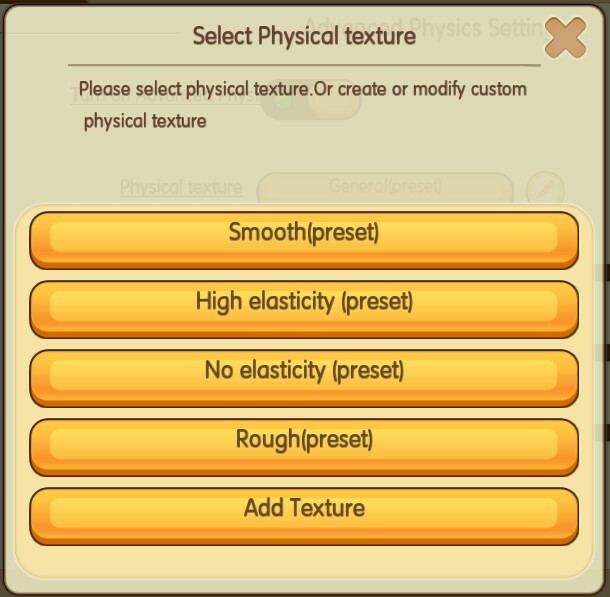 In the 0.31 version, players have many ideas about the new physical characteristic objects. Mini Captain has received suggestions from the players. So in the new 0.32 version, the physical objects have added various new functions! 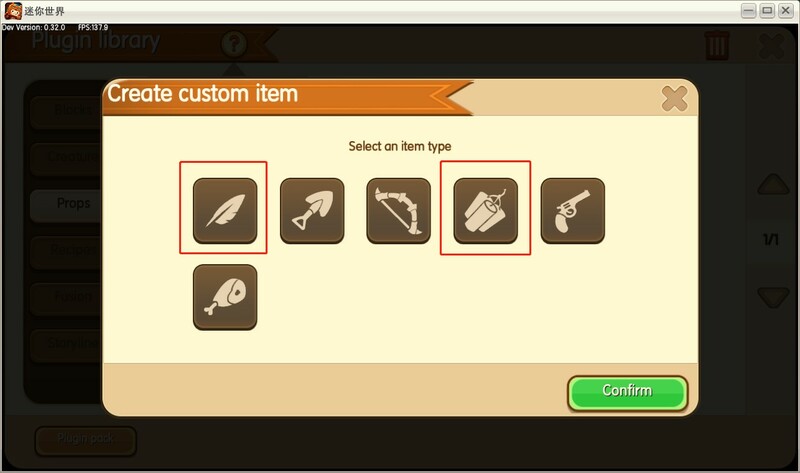 First, enter the plugin library, click to create new Props, choose the Misc or Ammo/projectile. 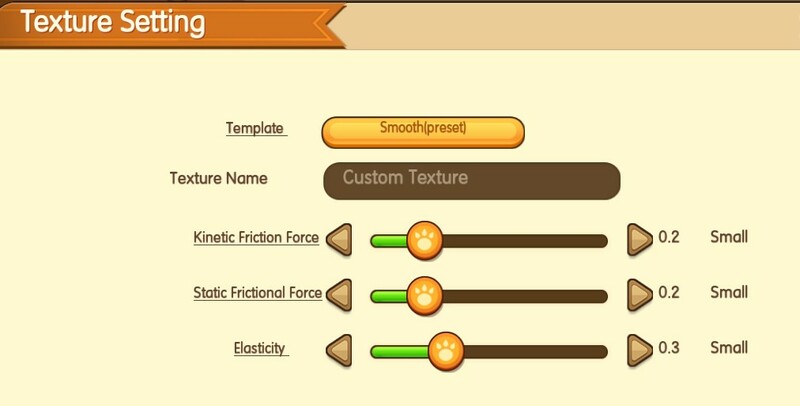 Smooth means the speed will not decrease rapidly when scrolling. High elasticity means the rebound speed will increase after a collision. No elasticity means it will not rebind after a collision. Rough means the speed will decrease rapidly when scrolling. The picture is the default value for your reference. Click to adjust. Texture Name is the name of the Texture. Kinetic Friction Force is the amount of friction that causes deceleration when moving. Static Frictional Force is the amount of friction that needs to be overcome. Elasticity is the rate of rebound after a collision. Tab on the name to see the explanation. Resistance means the greater the resistance, the faster the object's velocity decays. Angular Drag means the greater the angular drag, the faster the rotation velocity of the object decays. Quality means the greater the quality, less likely for items to not be knocked off or pushed. Gravity means the physical items thrown out will eventually fall to the ground due to gravity. 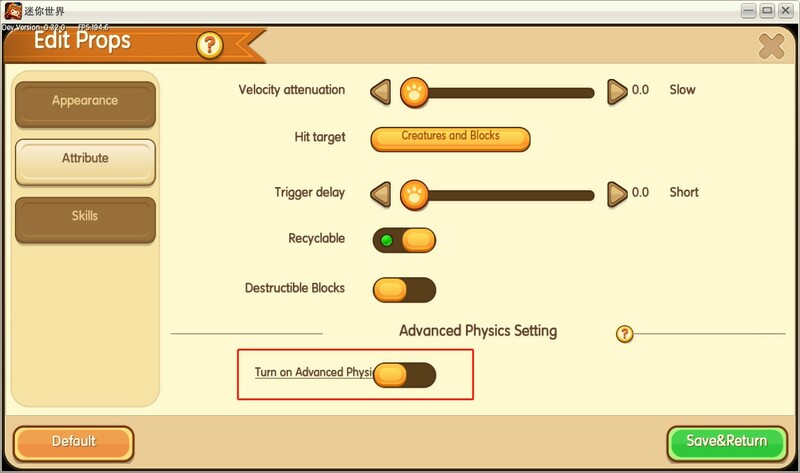 If you do not choose this option, the physical items thrown out will eventually go forward in the original direction until the speed becomes 0, or keep flying out of sight. Do you think of any interesting gameplay? 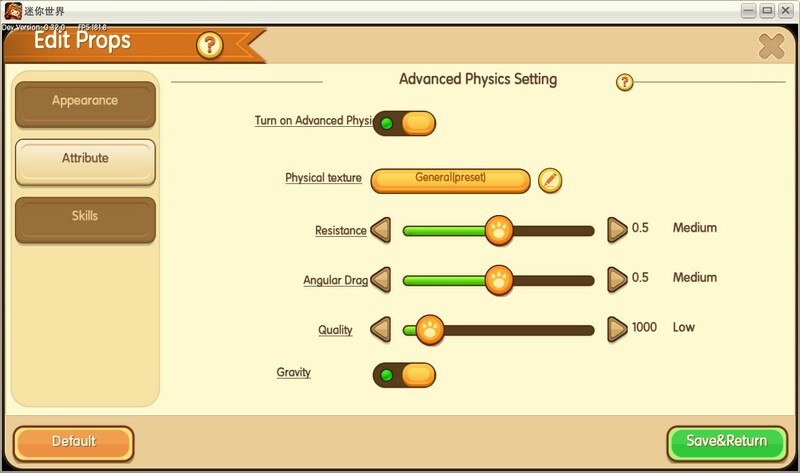 Go and design your new physics item!